We offer a large selection of machines dedicated to filling your need for OD and ID grinding service. Drawing requirements for precision size tolerance on diameters, fine finishes and concentricity will need to be ground. We support this department with scores of measuring devices to insure parts on size and to spec. 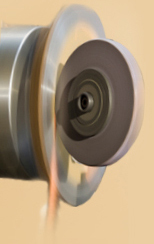 An extensive library of grinding wheels of different grades and grit size means you don't have to wait for the right wheel to be made for your job. The stand out machine is our Studer universal cylindrical grinder equipped with in-process gaging capable of directing the machine to repeat to plus or minus .00005. 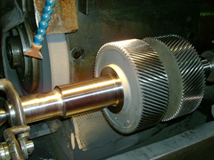 The cylindrical department is supported by five other machines capable of handling diameters up to 26" by 204" long.